Thanks to Allen and Unwin here is your chance to win one of 5 x copies of Diary of a Crap Housewife by Jessica Rowe. It's time to embrace your perfectly imperfect life! The #craphousewife movement calls to unite all mothers who, like Jess, sometimes feel they are not perfect. Being a crap housewife is a badge Jess wears with pride, and it's a title she invites other women to embrace. For Jess, the idea of crap is the real-life messes, hiccups, disasters and bad meals that many of us dish up and deal with every day. This mum is tired of the photos of perfectly packed school lunches, posts about gourmet family dinners eaten together over the table, and tales of neat, tidy and obedient children with smoothly brushed hair. Why not cut the crap, take the pressure off and admit to the moments, days, weeks and months when the wheels do fall off? 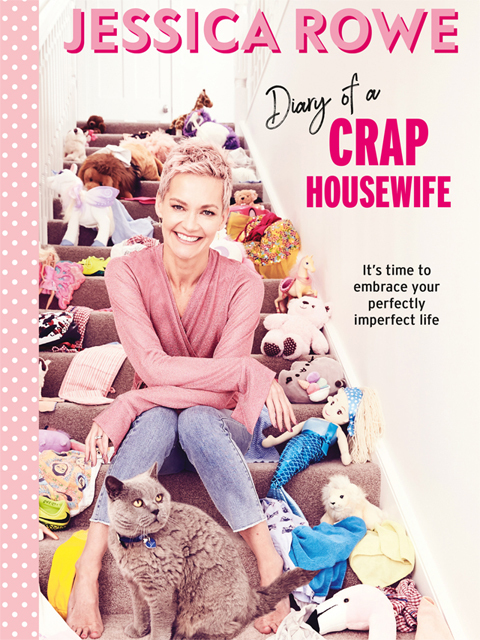 Watch out for this fabulous, funny, down-to-earth book, The Diary of a Crap Housewife, as Jess writes honestly about her cooking, mothering, career, botox, family and many other #craphousewife interests. Jessica Rowe is a mum of two small girls, author, television host, mental health ambassador, crazy cat lady and a terrible cook!